The Loeries has released its annual Official Rankings which provide a comprehensive overview of the performance across the advertising and brand communications industry throughout Africa and the Middle East based on performance at the 2018 Loerie Awards, held in Durban in August. This year, for the first time, the Loeries included points for Finalists in calculating its Official Rankings. In the past, points were only awarded for Bronze winners and above. 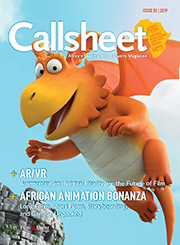 “While there can be many ways of analysing any competition, we have provided a thorough and fair process to accurately report on the results of the awards,” says Loeries CEO Andrew Human who believes that the inclusion of Finalists has had a positive impact on small agencies and countries in the region by giving them recognition for their achievements. This year Sanlam is the top brand, having won 16 Loeries, including a Grand Prix. Chicken Licken and Kimberly-Clark take second and third place respectively. Mariska Oosthuizen, Head of Brand at Sanlam is the top brand representative, followed by her colleague Kelly Driscoll. John Clark and Morné van Emmenes of Kimberly-Clark ranked third and fourth and Chantal Sombonos van Tonder from Chicken Licken, placed fifth. The top three Agencies are: Joe Public United, Impact BBDO Dubai and King James Group; and the top three Regional Agency Groups are: TBWA\, Ogilvy EMEA and Joe Public United. From the region excluding South Africa, the top three places go to Impact BBDO Dubai, TBWA\RAAD in the UAE and TBWA\Istanbul in Turkey. Other countries included in the top 20 regional agency rankings are: Angola, Israel, Kenya, Lebanon, Namibia, Nigeria, Saudi Arabia and Zimbabwe. Joe Public United has taken the top position in the large agency category, while King James II has the highest ranking among medium-sized agencies, and Utopia tops the small agency table. The top three ranked Chief Creative Officers for 2018 are Joe Public United’s Pepe Marais and Xolisa Dyeshana in joint first place, followed by Pete Case of Ogilvy Johannesburg who is ranked third. King James Group tops the table for Executive Creative Directors with Devin Kennedy and Dan Pinch ranking first and second respectively, followed by Gordon Ray from M&C Saatchi Abel in the third spot. AAA School of Advertising is the top educational institution. The Open Window, Vega, North-West University and the University of Johannesburg follow to make up the top five in the category. Note: The OVERALL ranking includes agencies from across the region – Africa & the Middle East – as well as international agencies that produced work to be flighted within the region. Note: The Regional Agency Group ranking is for the group networks across Africa and the Middle East. The full rankings, available on loeries.com, includes more tables on specialist agencies, production companies and individual credits. 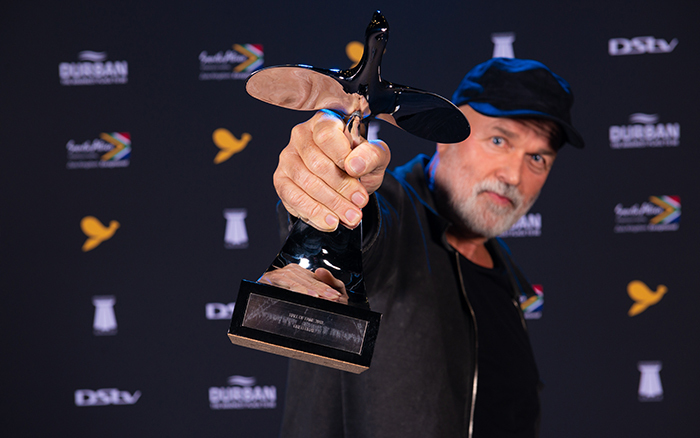 The Loeries has been rewarding creativity for 40 years. As Africa and the Middle East’s premier award that recognises, rewards, inspires and fosters creative excellence in the advertising and brand communication industry, winning a Loerie is the highest accolade for creativity and innovation across our region. The Loeries, a proudly not-for-profit company, promotes and supports creativity by helping marketers, agencies and consumers appreciate the value of fresh thinking, innovative ideas and outstanding execution. Between 10and5, Bizcommunity.com, B&W Report, Brand Communicator Nigeria, Book of Swag, Business Insider by Pulse, Campaign Middle East, Creative Feel, Design Times, Film & Event Media, Goliath and Goliath, iDidTht.com, MarkLives.com, Marketing Edge Nigeria, Marketing Africa Kenya, Media Update, The Redzone.